I try to pick the best pictures I can… but sometimes I just make stuff that I am proud that I made but not up to my aesthetic standards. In full disclosure here is the 2ply I made last night. The singles looked pretty but seeing them blended together makes me understand how much practice I really need…. 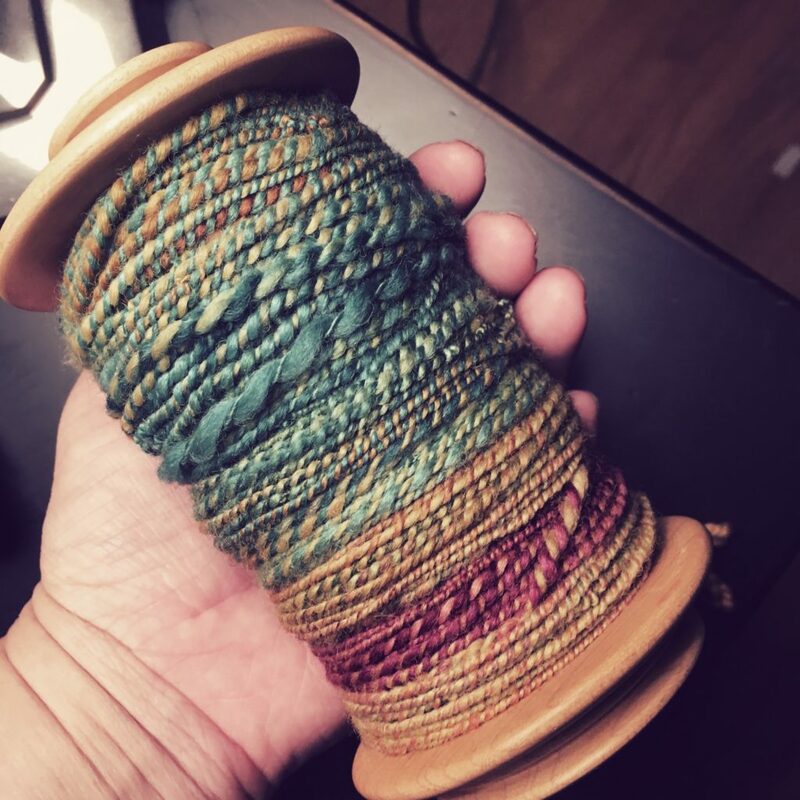 I also tried Navajo plying the yarn and it was a giant failure. < Previous Around and around we go…. Next > I have an idea….